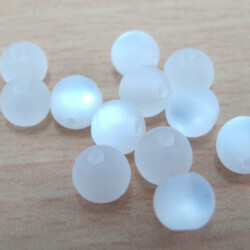 Plastic beads miscellaneous There are 122 products. 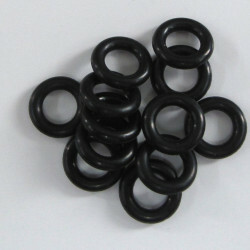 PB2520 - Black 10mm soft plastic rings. Pack of 20. The inner hole is approx 6mm. 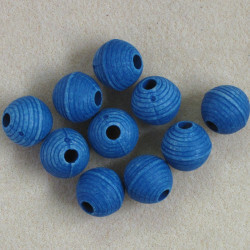 Blue Plastic, Ridged Beads, Slight Seconds, Pack of 10. 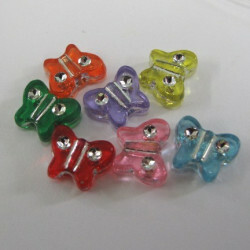 SALE94 - Small butterfly beads with sparkle. Pack of 20. 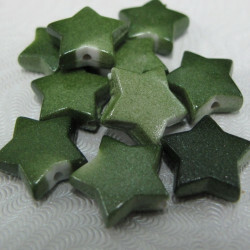 Approx 10 x 8mm. Hole runs top to bottom. Colour mix will vary. 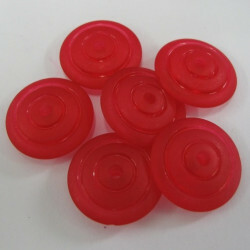 SALE132 - Red plastic disc beads. Pack of 10. 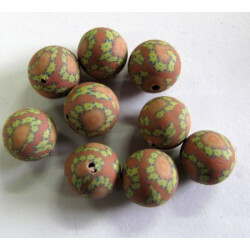 These are useful beads with a pretty matt finish. Approx 20mm diameter and approx 5mm deep. SALE133 - Big pink drops. Pack of 5. These are nice bright acrylics. Hole across top, running front to back. Size approx 39 x 20mm. 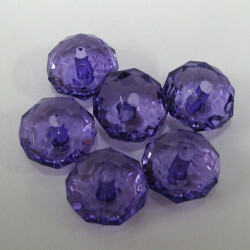 Purple acrylic rondelles. Pack of 10. 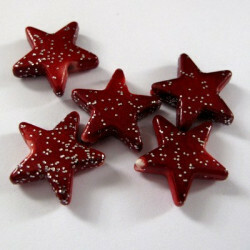 These are approx 12mm x 7mm. A really pretty colour with good sparkle for an acrylic. 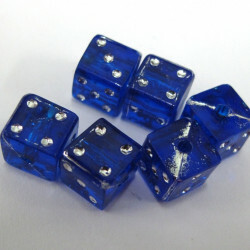 SALE136 - Blue dice beads. Pack of 20. 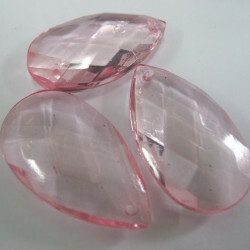 These are a transparent bead and approx an 8mm cube. The dots are silvery and the hole approx 1mm. 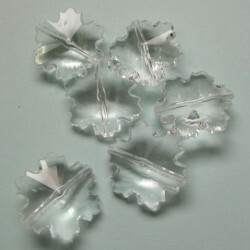 AC4851 - Clear Snowflake Beads. Pack of 10. These are really pretty. Size approx. 23mm with a 1.5mm hole.